Vaping rosin has never been easier! Rosin has become a very popular marijuana concentrate. Vaping has become very popular these days steadily replacing smoking. Wax Liquidizer has brought these two popular products together in a super easy manner. For those of you who are new to the world of marijuana concentrates let me explain a bit about Rosin. Cannabis rosin is the solid form of resin from the marijuana plant. Resin is the liquid that is found inside the plant, which contains terpenes; when you take out the resin from the cannabis, you bring out the terpenes. These are the oils and waxes — the potent essence/ THC of the plant in a liquid form. This is then processed and turned into a brittle or gooey substance… depending on its temperature. The fact that you can be vaping rosin in a very easy and fast manner is not the only benefit of liquidizing your rosin. Vaping rosin that has a smooth great taste and no nasty after taste is what makes vaping 420 concentrates super enjoyable. Check out how easy it is to turn shatter into vape oil. The whole process takes less than 2 minutes! You can also see this Video of Rosin to Vape Juice on Vimeo. Now that you have your 420 concentrate ready to vape take puff and notice that the cloud has no odor! That’s right… think of the possibilities of having your vaporizer loaded with great tasting cannabis concentrate e-juice and blowing out clouds while walking in the park, walking your dog or getting in a few quick hits in the parking lot before heading into the store. 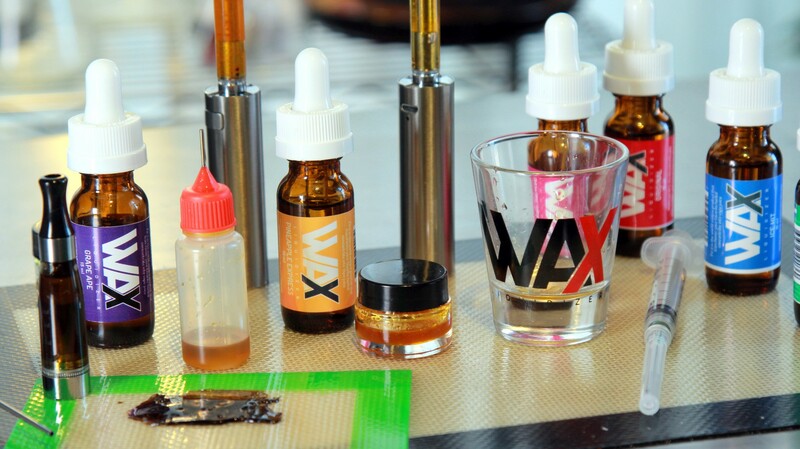 Vaping concentrates clearly gives you more freedom to live the lifestyle you desire! Grab a couple of great tasting flavors and start turning rosin in to vape juice for your vaporizer and lifestyle today! Happy Vaping from Wax Liquidizer.